A tapestry needle has a large eye for easy threading with yarn and a round blunt point in order not to split the canvas. Most tapestries are worked on a double point canvas, 10 hpi and the most popular needle used is a tapestry needle size 18. Size 20 and size 22 are great for petite point work and working with single thread canvas. 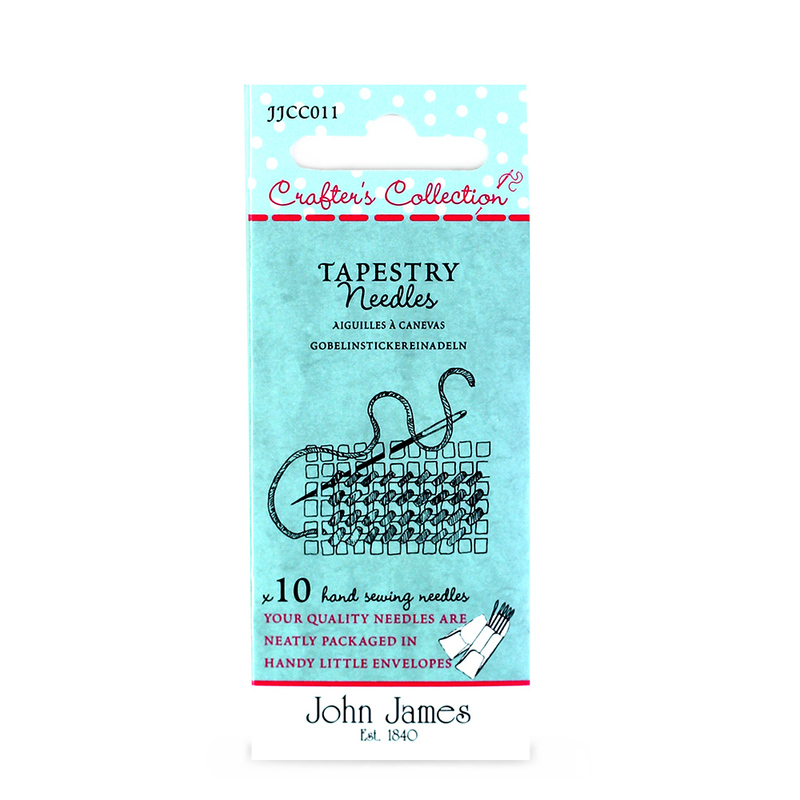 A classic combination of needles no crafter should be without.